Wine regions are like vines. The more they struggle, the greater the reward. And let’s not beat about the bush, both South Africa and its wine industry endures more than its fair share of struggles. Apart from decades spent in the wilderness during apartheid, the country is riven by inequality where ramshackle, no-go townships spread for miles whilst armed guards protect hilltop mansions. Crime and violence are never far away. Then there is the seemingly unshakable stigma and prejudice towards the country from overseas, the ridiculing of Pinotage, and its trenchant inability to attract premiums for much of its wine, hence marginal profits and numerous wineries privately for sale on the market. Also consider a chaotic government that is apathetic towards the wine industry, at worst regarded as an unnecessary privilege of the minority white population, evidenced just as I was filing this report by the demise of Solms-Delta. The truth is that Cape is one of the most mind-bogglingly beautiful landscapes you will ever visit, where jagged mountains soar up to heavens and cascade into oceans; fynbos-covered hillsides are home to startling flora and fauna. There is poverty and inequality. Yet, visit a winery and so often you see how the industry benefits the local community irrespective of skin colour, providing not just stable jobs for pickers, but homes, schools and hospitals. Yes, there is crime if you look for it, however I have rarely met such friendly and joyous people as in South Africa. The Cape is a visceral, unforgettable experience. Every single person whose feet have touched South African soil returns with shattered preconceptions and a desire to return as soon as possible. Maybe it is my job to shatter the preconceptions attached to the wines. I reiterate my claim that no country, no wine region has been as dynamic, progressive or indeed, as exciting as South Africa. It is almost unrecognisable compared to a decade ago. There is no avoiding the fact that yes, an ocean of substandard fermented grape juice continues to be churned out, tarnishing its reputation. But counter to this is a flourishing scene of “young Turks” rewriting or just ignoring rules, a burgeoning organic/natural wine movement, tangible improvements amongst established larger wineries and co-operatives, a constant pursuit to find untapped land suitable for high-standard viticulture, potentially lucrative oeno-tourism, co-operation between winemakers that would teach Bordeaux or Burgundy a lesson in how there is strength in togetherness, parcels of ancient vines whose contribution is only just being realized and a vast ocean of wine that in terms of value-for-money, is just unbeatable. The question is, despite setbacks and obstacles, how far can South Africa go? South Africa is the seventh largest wine producing country, although its global contribution to volume decreased from 4.1% to 3.9% in 2016. This reflects a drop in the number of wine growers from 3,232 to 3,145 in tandem with a decrease in hectares under vine from 98,597ha to 95,775ha. According to the most recent data, there are 586 wineries in South Africa, a figure that has remained fairly stable over the last ten years. However there is an upswing in micro-cellars crushing less than 100 tonnes, reflecting the burgeoning number of winemakers, especially young winemakers, without the financial means to buy their own land. At times you feel that almost every visit finishes with an invitation to taste the new label by a cellar hand. The truth is that these winemakers are often well worth investigating since they are often under the tutelage of a skilled and established producer. In this report, check out “Brunia” or “Die Kat se Snor”. Even Ewan MacKenzie, the sommelier who expertly assisted with my regional tastings, invited me to taste his own label “The Wine Thief” and hey, the wines were pretty good. All this movement and proliferation lends South Africa its sense of dynamism. It never sits still. Initially I considered writing this report region by region (or “Wine of Origin” as it is known in South Africa) but on this occassion I will approach it by grape variety. Reading Stephen Tanzer’s last report, I concur that contrary to the widely held view, South Africa white grape varieties have the edge over red. Truth is that South Africa has ideal sites for high quality white wine production, reflected in the fact that of 2,095 hectares of newly planted vineyard in 2016, around 70% was dedicated to white varieties. Chenin Blanc, or Steen as it is referred to in South Africa, remains the leading grape variety. Although it constitutes the most popular of new plantings, data shows that it is also the variety that is being pulled up more than others. Maybe that reflects a shifting of sites suitable for high quality production? One would like to think so. The reality is that there is a vast amount of Chenin Blanc cultivated for high volume, commercial production and so much is consigned to big name brands stocked on supermarket shelves. It is almost completely unrelated to the burgeoning move towards the kid-glove winemaking applied to propitious parcels of ancient Chenin Blanc with minimal intervention by gifted, quality-obsessed winemakers such as Chris Alheit or Lukas Van Loggerenberg. It is important to distinguish between these types of wine because, frankly, that difference is not always reflected in price. It is not like Burgundy where you will pay multiples for a Grand Cru vis-à-vis a modest Village Cru and hopefully reviews here will help you parse the wheat from the chaff. Suffice to say, at its best, South African Chenin Blanc is world class, though never as immediate as Chardonnay. Often the wines are quite subtle and demand some aeration to fully reach their zenith. Also, personally speaking, I quite enjoy the contribution when blended with its bedfellow of Sémillon, which lends a textural component to the wine. Chardonnay can be absolutely stunning in South Africa. I am well aware that everyone is looking for the hip new unknown grape variety that is “sommelier catnip.” There is a reason why Chardonnay is ubiquitous. It is because it tastes bloody delicious. In South Africa, place Chardonnay in the right hands with great terroir and you can put me on record as stating that the wines will compete with Premier Cru Burgundy, and I write that having recently tasted both side by side blind. At its best, Chardonnay embraces the tension and mineralité of the Old World and suffuses it with a modicum of opulence from the New World. The best Chardonnays are when terroir and winemaker strike that perfect balance between the two through careful vineyard management, controlling yields and putting the brakes on the new oak. There were occasions during my tastings when I had to take a second look at the price of a stunning Chardonnay to check it was not a typo. Maybe I am just inured to prices paid for Burgundy Grand Crus? Anyway, check out the spellbinding Chardonnays from Richard Kershaw, not to mention Lismore, DeMorgenzon, Ataraxia, Uva Mira or Crystallum to name but a few. Sauvignon Blanc, like Chardonnay, can thrive in South Africa, even if there are not as many superlative examples. But in cooler microclimates, one can obtain the tension and energy that defines a great “Savvy”. 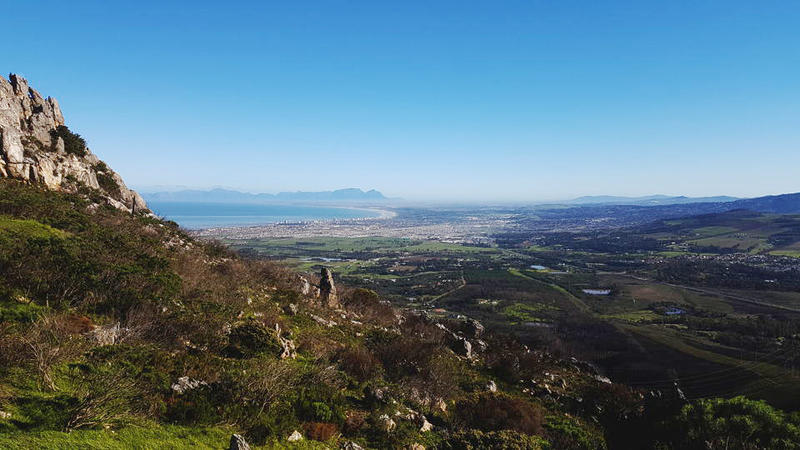 Visiting the vineyards draped over the higher contours of Constantia at Cape Point Vineyards, you survey the vast expanse of the cold Atlantic waters below and appreciate how those vines are exposed to the caprice of the climate. There is occasionally a tendency towards pyrazine-driven Sauvignon Blancs and sometimes that seems exaggerated, as if is a desirable part of the flavor profile. I dislike wines such as this, but can abide a little “cat’s pee” if it serves as a component. I am not totally convinced that South Africa is home to Riesling. One or two decent examples exist, but they are thin on the ground and the climate just isn’t suitable, though who knows, there could be undiscovered high altitude microclimates that are. I much prefer some of the fantastic Sémillons beginning to flourish in South Africa, for example from Naudé Family Wines, B Vintners and Thorne & Daughters. There is a movement towards grape varieties such as Clairette Blanc, Alexandrie de Frontignan and Palomino from some of South Africa’s best growers. This is often simply happenstance when an old parcel of vines is discovered, reflecting what might have been planted many years ago for brandy production. Often these parcels can be a field blend of varieties so growers just take what they are presented with and make the best from them. Thankfully, a lot of these old parcels end up with some of the most skillful winemakers, resulting in a raft of distinctive, unique wines that are as cerebral as they are pleasurable to imbibe. Check out Sadie Family Wines, John Seccombe’s range of whites under Thorne & Daughters or Mullineux for some great examples. Of course, I would be remiss in failing to mention the sweet wines of South Africa, which after all garnered global acclaim in the 18th century, when Yquem was still in shorts. Vin de Constance was revived in the 1980s and now the likes of Klein Constantia, Beau Constantia and Constantia Glen not only produce excellent dessert wines, but, have branched out towards Bordeaux varieties and Sauvignon Blanc. Located so close to Cape Town and boasting quite amazing views across False Bay, it is no wonder that their restaurants are full to capacity. Let’s just hope there are no more bush fires as there were in 2015, a constant menace when conditions are dry. There are other sweet wines of not2, not least the Mullineux’s outstanding straw wine from Swartland, Miles Mossop’s noble late harvest “Kika” and Keermont’s “Fleurfontein” to name but a few. It might be controversial, but I remain to be totally convinced that the Cape has an optimal growing season for the production of Bordeaux blends. Don’t get me wrong, there are some very fine Bordeaux inspired Cabernets for example, from Glenelly Estate in Stellenbosch. I just find that the heat spikes push the bunches towards high sugar levels without phenolic ripeness, and too often you end up with turbo-charged Cabernets with jarring green undercurrents. The trouble is that following the abolition of apartheid, incumbent growers went hell for leather pursuing Bordeaux blends, understandable since they had consumer recognition and plantings were already in situ. The one region that does seem suitable for Bordeaux blends is Constantia, for example at Constantia Glen, although vineyard land here is very limited. Don’t get me started on Merlot. I have always been disappointed with Merlot in South Africa. The grape is too sensitive, the skin too thin, and the picking window too narrow to really obtain a great wine with the notable exception of Vilafonté in Paarl.) The name is immediately recognizable, which is why I still encounter so many during my tastings. Suffice to say that a vast number of Merlots failed to make it into this report. I take a different view towards Cabernet Franc. The later ripening Cabernet Franc seems to perform well in the Cape. Just take a look a Raats Family Wines for wonderful expressions of the variety, or the debut from Keermont. Franc seems to be more suited to the climate, but I take on board that it is less familiar and marketable than either Cabernet Sauvignon or Merlot. Whilst remaining on a Bordeaux theme, I am always surprised that Malbec has not been pursued here. Surely it could thrive as it does in Argentina? Rhône varieties remain popular in South Africa, and for good reason – they thrive here, more so, in my opinion, than Bordeaux. Some of my most glowing reviews are dedicated to Syrah/Shiraz varietals and “GSM” (Grenache/Syrah/Mourvèdre) blends. These varieties soak up that sun, stride over any heat spikes, and the result is a gamut of world class wines, many of which I think are under-estimated in overseas markets. Like Pinot Noir, one of the reasons is that many of the current best practitioners of Rhône blends learned their craft in the Rhône itself, for example, Chris and Andrea Mullineux whom I actually met whilst they were working in Châteauneuf-du-Pape. 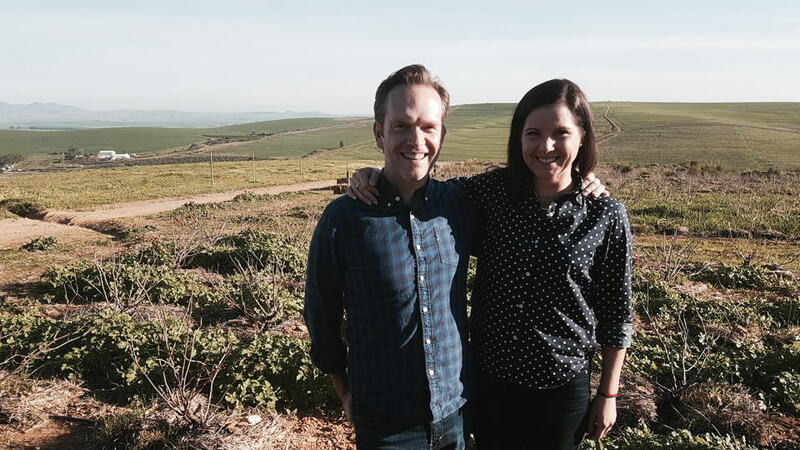 There is an endless list of growers creating outstanding Syrah wines: Callie Lowe at Porseleinberg, Donovan Rall, David and Nadia Sadie, the aforementioned Mullineux’s all in Swartland. But you can look further afield. For example, Boekenhoutskloof in Franschhoek produces some of the great wines from Boschkloof in the Polkadraai Hills of Stellenbosch, where rising star Reenen Borman is really making his name. I point readers to his “Sons of Sugarland Syrah” released under “Ron Burgundy Wines”. Awesome that the greatest anchorman of all time is now searchable in the Vinous database! Readers will be well aware that when it comes to Pinot Noir, I am spoiled rotten. Keep that in mind when I say that South Africa produces some of the finest New World Pinot Noir. Over the years I have reported on countries like New Zealand and Chile where some great examples of Pinot Noir are currently being produced. Yet, if I had to select a country that comes closest to achieving the heights of the Côte d’Or (and why not compare yourself with the apparent best) then it would probably be South Africa. The mainstay is Hemel-en-Aarde, which translates as “heaven on earth”, easy to understand when you drive up the picturesque valley itself, which funnels cool maritime air up from Walker Bay. Another reason why Pinot Noir has been successful is that it was adopted by the second wave of younger winemakers, many of whom completed harvests in Burgundy or elsewhere. They returned with experience and knowledge, sought out the best sites and kept production levels generally low to create bespoke Pinots that can be as pure and elegant as those in Burgundy. Pinot is not a variety that can be cultivated anywhere and therefore its production will be limited, yet certainly with prices of Burgundy going through the roof, South Africa is one of several countries providing ever more tempting alternatives. The trendiest red grape in South Africa at the moment? Cinsault. 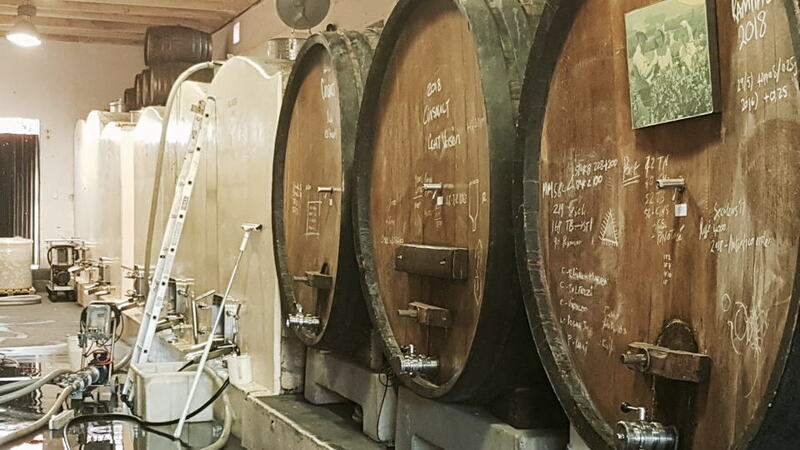 There has been some discussion in the Cape about whether Cinsault is a passing fad or whether it will become a bigger player in the industry. The reality is that the limited plantings mean that Cinsault will always remain marginal compared to Bordeaux or Rhône varieties. Its prominence is exaggerated by two factors. Firstly, a lot of Cinsault vines are old and located on propitious sites. The ongoing search for old vine stock, often on their own roots, means that Cinsault has been thrust into the limelight, ending up in the hands of some of its most talented winemakers and given Cinsault exposure that is disproportionate to acreage. Eben Sadie is a huge fan. “Cinsault is a little white dog, a little aggressive,” he told me. “It feels like its your friend then you realize it isn’t friendly.” Some of the Cinsaults that I tasted felt a little...anemic. It is a balancing act, not unlike Pinot Noir, whereby the winemaker has to capture the finesse of the grape variety and impart substance without tipping over into heaviness. Cinsault is a variety where you need to keep your foot gently on the pedal, yet the best examples rank amongst the best you will find. Pinotage is perhaps the most maligned grape variety in the world. The Cinsault/Pinot Noir crossing continues to be ridiculed, even to my face when I mention that I cover South Africa. It is usually along the lines of: “Poor you...you have to taste all that terrible Pinotage.” Like other writers, ten or fifteen years ago I would not have touched Pinotage with a barge pole, but things have changed. There is now a bevy of thoroughly decent Pinotage, and that is partly down to growers picking a little earlier and not pushing it too hard during extraction, rendering wines with more precision and less blowsiness and/or alcohol. Just take a look at some of the superb Pinotages from that stalwart Kanonkop or the recent introduction of “Liberté” from B Vintners. One other factor that I have learned from first-hand experience: Pinotage ages superbly, as I reported recently in “Cellar Favorites” courtesy of Château Lanzerac. For previous growing season summaries, I would guide you to Stephen Tanzer’s last report on South Africa, which covers 2011 to 2015. The 2016 growing season was one of the smallest due to the impact of the hot and dry conditions. The worst affected regions were Paarl, Stellenbosch and Swartland. Bud-break was generally even although later budding varieties such as Sauvignon Blanc were disturbed by the dry conditions. From the last week of October until January there was little rain and irrigation dams were generally 40% to 60% full. There were instances of burnt berries in Stellenbosch and Worcester. Hemel-en-Aarde was less affected thanks to cloud cover that kept a lid on temperatures, therefore drought was less of an issue here than elsewhere. Production in 2017 was 1.4% up on the previous year, yields suppressed again relative to historical averages by the continuing drought conditions. Figures were expected to actually be down on 2016, however Paarl and Swartland recorded larger production and sporadic rainfall brought some relief. Cooler conditions in September led to a some uneven and later bud-break than in 2016. Subsequent dry conditions meant that most of the vineyards were in good sanitary state. The rainfall that fell across the Cape in January, though less so in Swartland, nudged the bunches towards full maturity. Cooler climes during harvest benefitted growers in enabling them to capture acidity and freshness. Showers in Stellenbosch forced some winemakers into harvesting simultaneously and that led to some bottlenecks at crush facilities. South Africa has one big advantage over much of the New World...old vines. Whether or not South Africa should be categorized as a New World country is debatable since its viticultural heritage stretches back to the famous sweet wines of Constantia in the 17th century, although personally I class it as New World since much of the industry was established in the last three decades. During the last 10 or 15 years, some of its best winemakers began to realize that hither and thither, there are pockets of twisted, gnarly ancient vines with the potential to create distinctive, unique, high quality wine. The problem was that vast swathes were and still are owned by farmers, who, blissfully unaware of their holdings’ potential, were content to sell the fruit to cooperatives where it would be blended with lower quality fruit from younger and higher yielding vines. 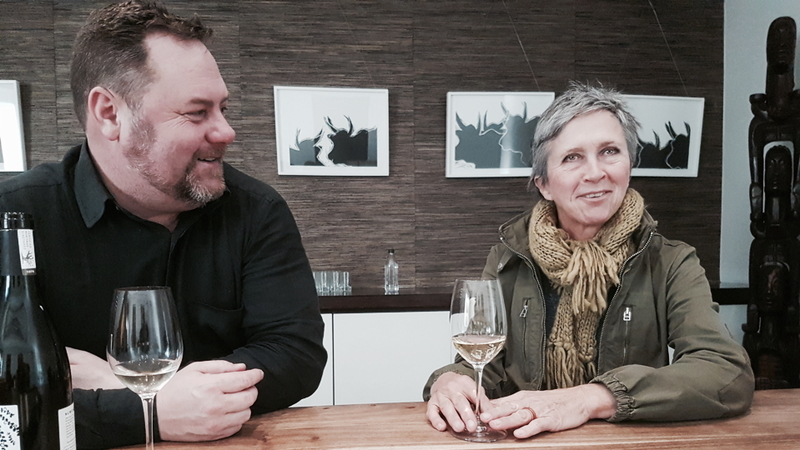 The contribution of these old vines might have been lost forever had it not been for one person – Rosa Kruger. I first met the great-great granddaughter of Paul Kruger in a bar in Riebeek Kasteel in Swartland during my maiden visit to the Cape. She was quite imposing at first, with those piercing blue eyes and directness. Kruger is clearly someone who does not suffer fools, especially those driving bulldozers through ancient vines. Having originally trained as a lawyer, she returned to South Africa in the early 1990s and in a change of career began learning about viticulture, although she received no formal training. 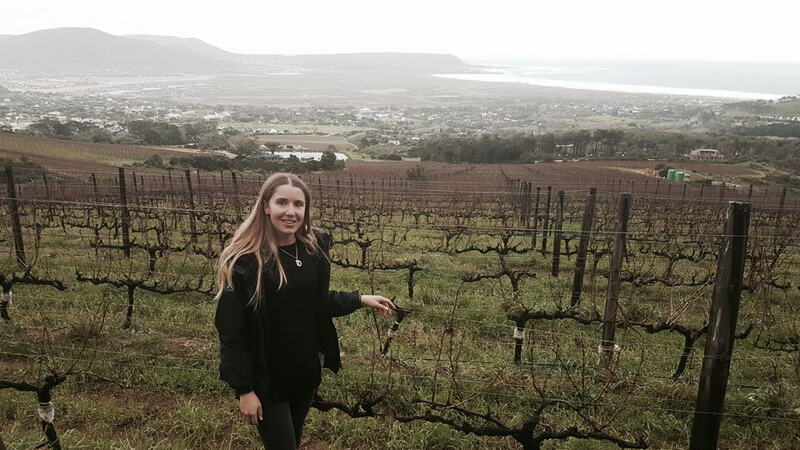 Rosa soon became interested in the Cape’s parcels of old vine, some of which were being unceremoniously turfed up by farmers because yields had become too low. She began to catalogue the list of parcels in 2002 when working as a vineyard manager at L’Ormarins, one of the Rupert family farms, and began contemplating where South Africa’s old vines might be located. There was no information at hand and no authority that maintained records of exactly when vines were planted, so it was a case of simply driving to potential farms and finding out herself. She then began to match these older vines with winemakers who would show requisite care and dedication and share the same ideals to create small runs of wine exclusively from these older vines. One of the first winemakers was her friend Eben Sadie who used these parcels to create his “Old Vine Series” that became a clarion call to others in the Cape. Likeminded winemakers such as Chris and Andrea Mullineux and later Chris Alheit amongst others, used Rosa’s knowledge to source fruit from precious old vine stock and nurture them in an appropriate manner. It was a win-win situation since they could pay the farmer a premium for fruit, more than a cooperative intent on blending into a high-volume blend. Suddenly South Africa had another bow in its quiver, a plethora of small production labels sourced from old vines that have done much to convince the outside world that it can create world class wines from unique terroirs. On this visit I met with Rosa and Andre Morgenthal, ex-marketing manager of Wine of South Africa, who along with the backing of Johann Rupert, formed the Old Vines Project. In some ways it is the next logical step from cataloguing the sites. She believes that as much as 2,618-hectares could be certified as a heritage vineyard where vines must be planted before 1982. A fascinating list of these can be found on the website (www.oldvineproject.co.za). Some of the best wines contained within this report come from these parcels, often shared between two or three growers. Indeed, there is a lot of co-operation here and on more than one occasion, I am told that a limited bottling was only possible because a friend was willing to share some fruit. When we met up, I asked if I could take a video because Rosa is a charismatic speaker. She protested and then of course, I could not stop her chatting away about her old vine discoveries, only to find that my mobile phone had run out of memory (sorry Rosa!) I will save it for next time, but basically we talked at length about her ongoing pursuit that has been given impetus by the equally indefatigable Andre Morgenthal. One of the most interesting points that she made was that her philosophy is now being adopted not only by cult winemakers, but some of the larger enterprises and cooperatives that belatedly understand that the right approach cannot only be financially viable, but alter the image of their brand and protect the country’s viticultural heritage. It is not always successful. Ken Forrester recounted how the vineyard where he sourced fruit for The Gypsy, vines planted in 1959, was recently pulled up by the owner despite his futile plead for a stay of execution and offers of compensation. “He just didn’t want to know,” Ken explained ruefully. I asked him why he grubbed up the vines and for what purpose. “Oh. It’s now somewhere to park his tractors,” came the soul-destroying reply. You can see that it is not plain sailing. Rosa herself mentioned one incident when visiting a vineyard and the owner just started kicking an old vine. He might as well have been attacking a pensioner in Rosa’s eyes. These anecdotes testify to the fact that unlike Rosa, Ken, fine wine lovers, or myself out there, in the everyday world, what is romantic, important and vital to us, is just an insignificant pain in the arse for them. Of course, the cornerstone philosophy behind the OVP is that older vines make better wines. That is generally true, although we could get into a whole different argument that it depends on whether the rootstock or clones are optimal for a specific site. I asked Rosa: “What if you find a parcel of old vines and then the winemaker decides to raise that wine in superfluous 100% new oak?” In this sense, Rupert and Morgenthal’s responsibility does not extend further than the vineyard, and it is up to the winemaker how they translate that into the wine that you and I will drink. Of course, most have the wherewithal to treat it with care, although there are one or two that I tasted where I think the winemaking was mishandled. Certainly, for readers just getting into South African wine, this project is well worth a look because it has given rise to many of the most positively reviewed wines in this report and indeed, those of Stephen’s before me. I am not going to write too much about the Swartland revolution since I have done so many times before. Likewise Stephen Tanzer recounted the tale in the previous report. However, the impact that Swartland has had cannot be overstated and it continues to reverberate across the Capelands. Perhaps what does need to be said is that the revolution is over. It could never last forever. Participating winemakers realized it themselves, so they ceased their November weekend tasting/bacchanal that drew so much media attention. It was time to move on so winemakers branched outside the borders of Swartland, for example the Mullineux’s into Franschhoek, Adi Badenhorst into his vermouth venture and so forth. Yet they remain a close-knit group dedicated to the region with their “spiritual leader” of Eben Sadie. Rather than looking further afield, Sadie is actually becoming more parochial, turning his sights and sites further to home. I guide readers to a video of Eben explaining his new vineyard plantings right outside his home. As I wrote earlier, given the length of this report I have not delved deeper into individual regions. But I do see the ripples now affecting other regions, not least in Stellenbosch. That revolutionary mindset might not be quite as conspicuous and as deftly marketed as in Swartland, however as the old guard make way for the new, winemakers are discovering propitious parcels of old vine and creating their own style of Stellenbosch that is perhaps more in tune with the move towards more terroir-driven wines made in the vineyard rather than the winery. 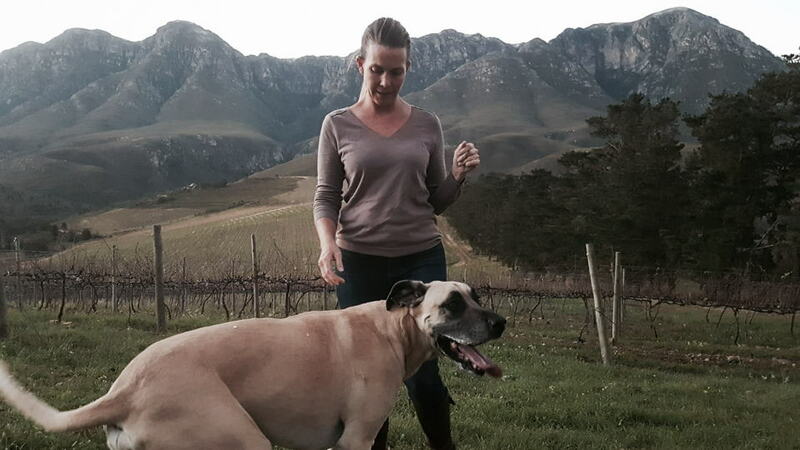 Look at Reyneke, Raats Family or the marvelous wine from DeMorgenzon. During my trip, I detected winemakers extending their horizons, discovering what might lie hidden in Bot River or Elim, unearthing parcels of old vine in Paarl, a warm region dominated by larger wineries with smaller individuals producing limited runs of high quality vine “between the cracks” of commercial viticulture. 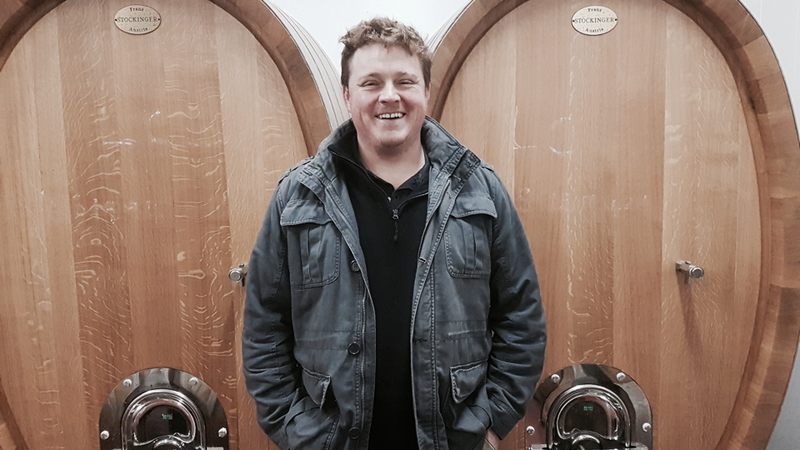 Chris Alheit is a winemaker who speaks about untapped potential further north of the Cape towards Ceres, vast tracks of farmland that could one day make great wine and are much cheaper to rent or buy compared to Stellenbosch. And it is not just a geographical frontier. The Swartland revolution did much to alter the mindset of winemakers and their ethos of terroir, single vineyard expression, organic/biodynamic tenets, minimal intervention, minimal SO2 and use of ageing vessels with less wood influence such as concrete eggs and foudres, which are becoming more widespread. 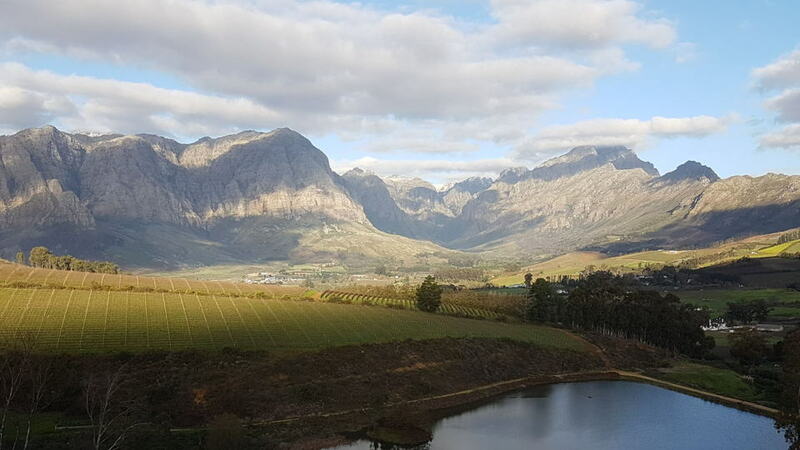 As I said before, South Africa is an incredibly dynamic wine region, more than any that I have encountered in over 20 years, which is why it is so important to go there and see what is happening on the ground. The top producers on everyone’s lips are completely different to those a decade ago and they will undoubtedly be different in ten years’ time. But in the future, they will surely look back into those crucial years in the Swartland that has been the catalyst not just for a change in quality of winemaking, but in the mindset of winemakers and altering outsiders’ attitude towards South African wine. South African wine can represent some of the greatest values in the world today. There is no question of that. However, this in itself presents problems for estates that are starved of sufficient profit margins to invest back into their vineyard or winery. Relatively low prices create an illusion, and it is definitely an illusion, that South African wines are inferior. Even the most lauded and revered winemakers producing wines in limited quantities seem to achieve market prices far below that of their equivalents in other wine producing countries. Perhaps the best example is Eben Sadie’s “Old Vine Series”: spectacular wines fêted all over the globe, and yet about the same price as a Burgundy village cru. There are some who have started to push upwards. The Mullineuxs launched their Leeu Passant wines around the “magical” hundred dollars mark and as far as I can see it has been successful thanks to label design, marketing, and the efforts of its winemakers but most importantly, the quality of the wine inside the bottle. There are two routes as far as I can see. The first is to make a quality wine and accrete demand organically, which will allow the market to nudge prices up. That demands patience on behalf of the winemaker and entertains the risk of demand never materializing, against a backdrop of price resistance from fickle consumers prepared to fork out premiums for some regions/countries but not others and governs the buying strategies of importers and distributors. Consequently it is unsurprising that some producers circumvent the entire system and adopt what I have previously termed a “reverse winemaking” approach – i.e. decide on a price point and work backward through the winemaking process to create a wine that fits the billing. There have been several examples of this such as “G4”. The wine is attached to the late Prof. Denis Dubourdieu, however its impact seems to be limited only to those desiring wine with a hefty price tag on the naive assumption that it must be “the best”. In the case of G4, that is not the case. Two most notable examples in Stellenbosch come from Delaire Graff’s Laurence Graff Reserve and the latest, Tokara’s Telos, the latter housed in a stunning black lacquer box and launched with comparative tastings around the world against Bordeaux’s high and mighty. Both labels represent a Draconian selection in the winery, down to the best four or five barrels. Both are very fine wines – that is not in question. However, my scores indicate that I do not hold them up to be the apotheosis of South African wine, more luxury products for consumers that demand luxury and correlate price to quality. They come in at around 4,000 Rand per bottle, between £350 and £400, so consider the global alternatives at those prices. Wines like this make a statement and should be credited for trying to breach consumer resistance to paying such sums for South African wine. However, for long-term success, for it to really mean something to wine cognoscenti and hard-nosed critics, the only way is the first: building a brand, a label, a grower’s reputation over many years, building a track record that attracts a loyal audience that knows price cross-section between a limited supply and a demand fueled by the quality inside the bottle. I was last in the Capelands in January 2017 when the region was understandably terrified of “Day Zero,” the day that basically everyone runs out of water. We are not talking about being unable to top up your swimming pool or watering your lawn. We are talking about turning on your tap to drink and nothing coming out. I remember listening to discussion on the radio. They were at about “Day 80” then, so if it did not rain for another two or three months, they were in big trouble. Fast-forward to July 2018 and “Day Zero” is a nightmare scenario of the past. Literally the day before my flight touched down, the Cape had enjoyed a weekend deluge as a low depression passed over from the Atlantic, watering parched vines and filling up dams. Not only that, but the unseasonably cold weather left snow on the mountains that crucially gradually melts over time, sustaining water replies far longer than shower of rain. This bodes well for the forthcoming season. Winemakers were relieved to say the least, though I was a little perturbed that the ongoing drought conditions that had afflicted the Cape for months, seemed to be regarded as “solution solved” by some that I spoke to. I reminded them that it could happen again in the topsy-turvy climate the world is coming to terms with, though one hopes that if it does, they will be more prepared. Of course, drought has serious ramifications upon vines, which is why the drought coerced those who could afford it, to construct their own dams and become reliant on their own water supply. For some it was too late, especially dry farmed vineyards. The old vines that were the source for Chris Alheit’s lauded Radio Lazarus were so stressed and yielded such pathetically small amounts that it put pay to the viability of the vineyard and at time of writing, it is doubtful that it will ever be produced again. The radio had to be switched off. One issue that cropped up during a discussion with a major importer in the UK is that of how South African wines are shipped. South African exported 428 million litres of wine in 2016, a 37% increase since 2007. This person lamented the fact that because a majority of South African wines achieve generally low price points, coupled with small distributor profit margins, many importers use dry containers to ship the wines to the United States and elsewhere. Using a temperature-controlled reefer erases any profit and risks making the wines economically unviable. Moreover, this person told me how the containers would be loaded onto the upper deck of the ship, exposed to the heat and the sun, so that wines that he tasted in the UK were completely different to those tasted in South Africa. Certainly one positive in the United States is that consumers seem to be a little more flexible about price, willing to pay more if the reputation of the winery is good. This is certainly not the case here in the UK. But our discussion did make me ponder. Many of the wines in this report, certainly a majority of the top producers, are reviewed at the winery or nearby. I sincerely hope that any perceived quality is enjoyed by consumers wherever they may be around the world and that quality is not compromised by cutting transport costs. It is a tricky situation. It is too easy for a journalist just to sit here and demand all wines transported by reefer container. Having worked for an importer for a decade I have been in that very situation, deciding whether to use a dry or reefer container. What is the point using reefer if it renders the wines too expensive to sell? What is the point of using a dry container if it renders the wine compromised, thereby tarnishing the reputation of both the winery and South Africa? I guess the onus is upon consumers to be prepared to pay more for their wines to guarantee safe passage from the winery, though the reality is that many consumers are looking for cheap wines. If I can digress before leaving this topic, interestingly this had led to one major producer reverting back to corks than alternative closures? Why? Well, stick a case of wine under cork in a warm container and you will find signs of damage: seepage or even corks popping out. However, under alternative closures you cannot tell and evidence of this was a shipment that contained both natural and alternative closures. The distribution of wine is never straightforward and when a country like South Africa struggles to sell wines at a premium, then the options can become very limited. As I have already stated, a country as complex as South Africa demands on the ground reporting and therefore I spent around two weeks in the Cape in early July. It was their winter – a perfect time to taste since the temperature was still a “balmy” 23° Celsius. Of course, I cannot taste everything in that period and so I spent one week tasting in the UK. There are one or two omissions, such as Iona. This is because I did not know which producers had contributed to regional tastings in South Africa and so whilst I was able to plug unforeseen gaps, it was not possible to do that for everyone. To summarize the performance of the Cape is almost impossible because of the distinctive variations between Wines of Origin and the wide disparity between growers. What applies to a niche grower might not necessary apply to a large cooperative located in the same region farming the same grape variety. It is almost like asking a reviewer: how did France or Spain perform in a given vintage! If you will allow some general overview, the 2015 vintage was widely being touted as a benchmark vintage in South Africa, especially for the reds. Indeed, there are a number of great wines that veer towards the denser, more opulent style (not unlike in Burgundy or Bordeaux) with impressive purity of fruit. I was not as convinced as others that it is all a shoo-in success. I felt that some wines tripped over into blowsy, heady and rather anachronistic concoctions reminiscent of the Cape a few years ago, before they discovered that finesse and elegance were just as worth pursuing as fruit intensity or length. The 2016 vintage is tricky and wildly diverse. Certainly the drought conditions stressed out some vineyards and you find differences from one to the other. Perhaps here, I would venture more to the whites or some of the excellent Pinot Noir from Hemel-en-Aarde that benefit from cooler conditions or the Syrah/GSM blends from Swartland. I am really excited about the potential for the 2017s. The whites appear to have wonderful acidity levels and the reds maybe a little more precision than their 2015 counterparts. One thing I will say is that amongst my several excursions to South Africa, this was my most rewarding and exciting to date. Sure, there is no avoiding the fact that there are some producers that continue to foist wretched, deplorable, often undrinkable wines onto the market. Too many, including some big names, are resting on their laurels. And there are far more in South African than say New Zealand – and I state that having conducted two similar tastings of around 400 wines in consecutive weeks whereby New Zealand was clearly more consistent. However, the numbers of producers who make very good to quite astonishing wines in South Africa has never been greater. Numerous times I experienced the adrenalin rush of chancing upon a new grower creating thrilling wine or met a trustworthy, skilled winemaker offering yet another portfolio that consolidated their reputation. I dislike assertions based on numerical analysis, but simply perusing my scores, that is a vast swathe the settles in a sweet spot, in the low-nineties. These are great wines whatever the region or grape variety and year on year there are more and more. It sounds banal but South Africa is getting very good at making wine. A couple of growers asked whether South Africa has the potential to make a 100-point wine. Of course, that depends upon the criteria of the reviewer but I answered, why not? Is it reachable? Most certainly.